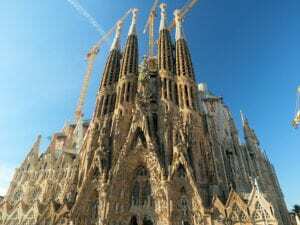 If you only have time to visit one monument in Barcelona, the Sagrada Familia should be it. No other architect in history has ever had such an absolute influence on a single city as Antoni Gaudí (1852-1926) has had on Barcelona. There are great works of his Moderniste style all over the city but the greatest of all his works is the unfinished Sagrada Familia. And indeed it did. Soon he would be planning and designing some of the greatest architectural masterpieces ever created which have defined the city of Barcelona to this day. His initial works were primarily Gothic in nature and had a traditional Spanish flare to them. After a few years he went on to develop his own style which was when his most popular works were created. The nature he had studied so much as a child was soon to be incorporated into his works and he showed amazing portrayals of water and organic shapes in his architectural designs. Later his work became known by the name ‘Art Nouveau’ which served as a precursor to today’s modern architecture which is best known as ‘Modernisme’. When Gaudi began building what he conceived as a “20th Century Cathedral” in 1883 he was well aware that he would never complete the construction in his lifetime. He soon became obsessed with the project and set up an office on site which became his permanent residence. His plan was to build facades which would represent the birth, death, and resurrection of Christ with eighteen towers symbolizing the twelve Apostles, the four Evangelists, and the Virgin Mary and Christ. The one representing Christ would be the tallest and would stand 170 metres high. In 1926 Gaudi died at the age of 73 when he was hit by a tram on Gran Via de les Corts Catalanes very close to his masterpiece. 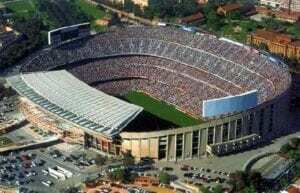 Work continued but was halted in 1936 as a result of the Spanish Civil war and didn’t continue until 1952. During the war many of Gaudi’s original plans were destroyed which created much debate as to how future development of the building should continue. 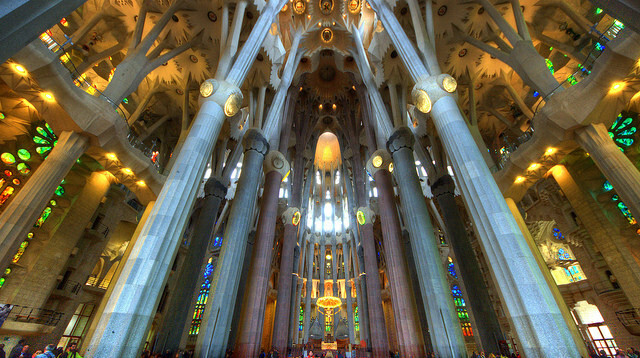 More than three million people visit the Sagrada Familia every year with ticket revenue financing its ongoing construction. 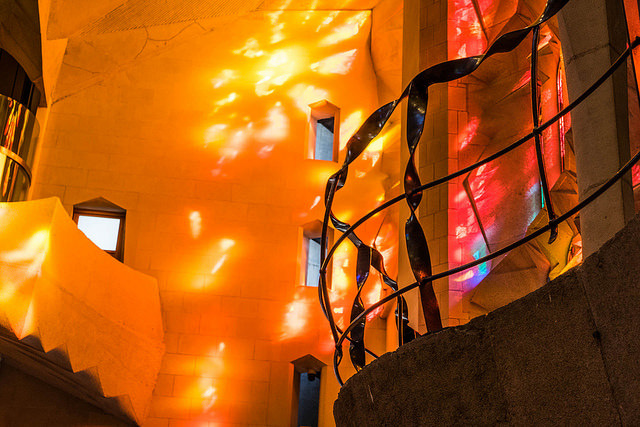 The aim is to complete the whole project by 2026 to celebrate the centenary of Gaudi’s death. 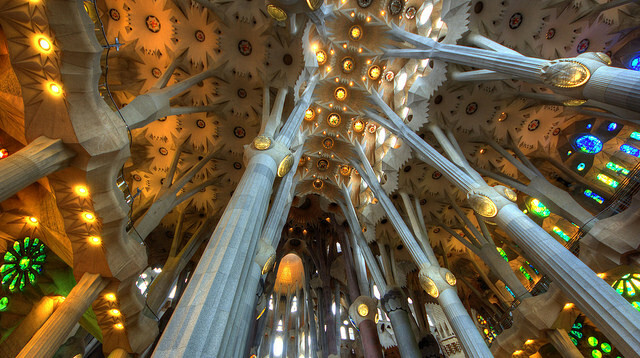 To avoid long queues at the cathedral’s ticket office it’s wise to pre-book a Sagrada Familia Tickets. They will be delivered to your mobile phone. Check Entrance Fees at the Official Website. 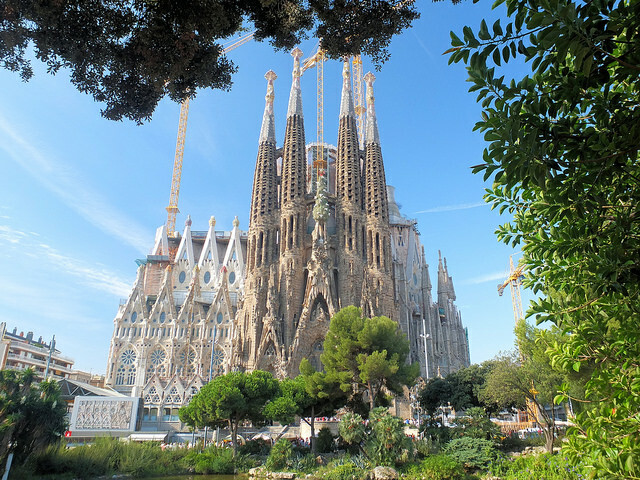 Hi Gerry, my wife and I have been to Barcelona several times now and have visited the Sagrada Familia on three separate occasions as one visit can not do it justice. The whole concept is so awe inspiring and one does not have to be religious or Christian to be inspired or impressed by the experience. This is a MUST see.